Above ground pools require a certain amount of water chemistry to assure safe, clean swimming water. Below you will find some great buys on pool chemicals. 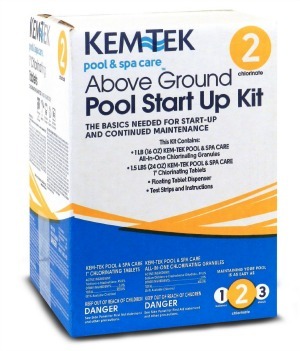 Chemicals are an important part of above ground pool ownership. Just as important is filtration. A good filter, run enough hours a day, is the most important key to getting the most enjoyment out of your above ground pool. This is the most important thing you could ever know about above ground pool chemicals and filtration. If you have a water clarity problem, or algae problem, run your filter, non stop, until the problem is cured and your water is back to normal. Do add the proper chemicals for your specific problem, but let that filter run. A good test kit is essential for proper water chemistry. The alternative is to take a water sample into your local pool store once a week. In the long run, the test kit is much cheaper. However you do it, make sure you have the proper balance of pool chemicals at all times. 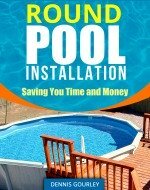 If you are serious about keeping your pool clean, and saving money, spent a few dollars on this book. I did and i will never be taken to the cleaners at the pool store again. There are many alternatives to chlorine on the market at this time. Some work great and others not so well. I have always been a chlorine and shock it person so my experience with these units is very limited, other than having installed a few of them.